3/3/13 – What is the Purpose of Children’s Liturgy of the Word? Children’s Liturgy of the Word has been a part of life at Our Lady of Mount Carmel for about two decades now. What is the purpose of these specific celebrations of the Liturgy of the Word at Mass? celebrate the word in a way that children may understand (Children). It is expected that Children’s Liturgy of the Word will mirror the general structure and purpose of the Liturgy of the Word celebrated by the adult assembly, but with the proclamation and breaking open of the scriptures adapted to meet the developmental stage and abilities of children. 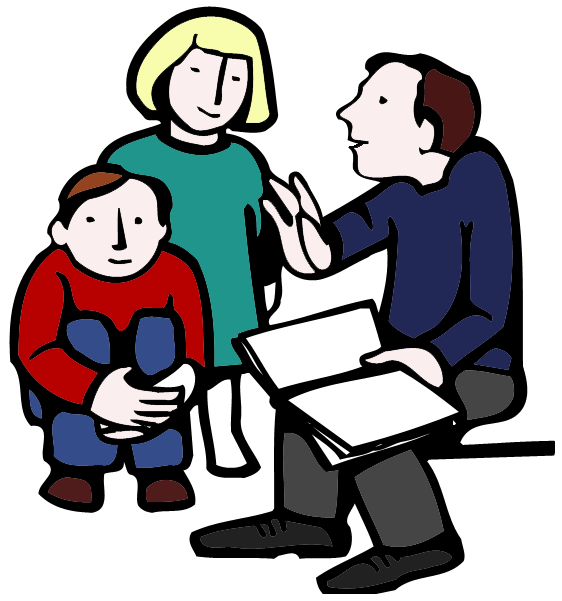 Consequently, it is not intended to be a Sunday school or scripture class. It is not a time for religious education or catechetical instruction. It is, furthermore, best suited to children of primary school age, who generally have the capacity to listen to, and gain some understanding, of God’s word. 3/2/13 – When is Children’s Liturgy of the Word Celebrated? Since Children’s Liturgy of the Word was first proposed in the Directory for Masses with Children, many parishes have decided to adopt the practice. Some parishes will not choose to celebrate Children’s Liturgy of the Word at all, but others may do so on special occasions, and others (such as ours) will celebrate it at a fixed time more frequently. As for the exact scheduling of Children’s Liturgy of the Word, this is a decision each parish has to make. Often parishes will find that the celebration is very beneficial, encouraging the participation of children in the Mass and helping them to understand the scriptures. As such, they will be eager to have regular celebrations of Children’s Liturgy of the Word. It is also important, however, that children have opportunities to observe, and begin to participate in the regular Sunday Mass. Our knowledge of how we celebrate Mass in the Catholic Church is typically built upon an apprenticeship model, where we learn by doing with the support of more experienced ‘experts’. As such, choosing how and when to celebrate Children’s Liturgy of the Word is about trying to find a good balance so that children may fully, consciously and actively participate in the liturgy now, and be well-formed so that they can continue to do so well into the future. 27/1/13 – Where Did Children’s Liturgy of the Word Come From? Last year marked the fiftieth anniversary of the Second Vatican Council, a time of significant change in the Church. Among other things, it started to put into effect a number of liturgical reforms that had been developing for some time. Part of this reform, which has continued in the years since the council, was the realisation of the need for the liturgical rites to better meet the needs of children. In 1973, the Vatican Congregation for Divine Worship published the Directory for Masses with Children. It was the first document of its kind in the history of the Church. It proposed a number of general principles, then proposed liturgical adaptations for Masses with adults in which children also participate (such as on Sundays), and Masses with children in which only a few adults participate (such as a school Mass). Sometimes, moreover, if the place itself and the nature of the individuals permit, it possibly will be appropriate to celebrate the liturgy of the word, including a homily, with the children in a separate, but not too distant, location. Then, before the eucharistic liturgy begins, the children are led to the place where the adults have meanwhile celebrated their own liturgy of the word. Our parish’s liturgical celebrations depend on the generous service of our liturgical ministers. One of our responsibilities as a parish is to ensure that we provide our ministers with support and resources as they engage in their ministry. Tuesday 5 February at 7:30 pm in the parish centre. At 9:00 am Mass on Sunday 10 February, we will commission our Ministers of the Children’s Liturgy of the Word to serve for the coming year. Children’s Liturgy of the Word will then commence on Sunday 17 February. We look forward to being able to support our parishioners in their service to our community.